Each day, the Tarkett Group sells 1.3 million square meters of flooring to customers in over 100 countries. In 2016, the company’s net sales totalled 2.7 billion euros. As with any ‘big corporation’, it’s easy to write the company off as one whose bottom line is all about the dollars. Conversely, Tarkett shows that it’s possible to strive for profits while having a strong, genuine commitment to sustainability. Along with Desso, which it acquired in December 2014, Tarkett’s three main business drivers are People, Planet and Profits. Key to these aims is the development of products that have a positive impact on the environment – a strategy Tarkett calls the closed-loop circular design model. “What makes us stand out is that sustainability is so embedded in our organisation. It drives new product development, but also reaches operations, marketing and our partnerships with suppliers and customers,” says Anne-Christine Ayed, EVP Research, Innovation and Environment. This design strategy is based on Cradle to Cradle® principles, whereby products are developed only if they can be brought back and recycled. This circular economy begins with the choosing of environmentally friendly materials, such as those that are abundant, rapidly renewable, recycled and recyclable. The next point in this closed-loop cycle is resource stewardship, where efficiency – mainly through renewable energy sources like solar and biomass – is a critical consideration of the manufacturing process. Next, is the consideration of a finished product’s impact on people’s health and wellbeing in the built environment. This has inspired Tarkett to create carpet flooring products with low VOC emissions, and to start phasing out phthalate plasticisers, with the goal to extend this technology to all its vinyl products by 2020. With flooring being one of the major contributors to VOC emissions in our buildings, this eco-innovation strategy is extremely significant. Tarkett’s flooring products emit less than 100 μg/m3 of VOCs (TVOC after 28 days), ten times less VOC emissions than current European standards. This improves indoor air quality dramatically. 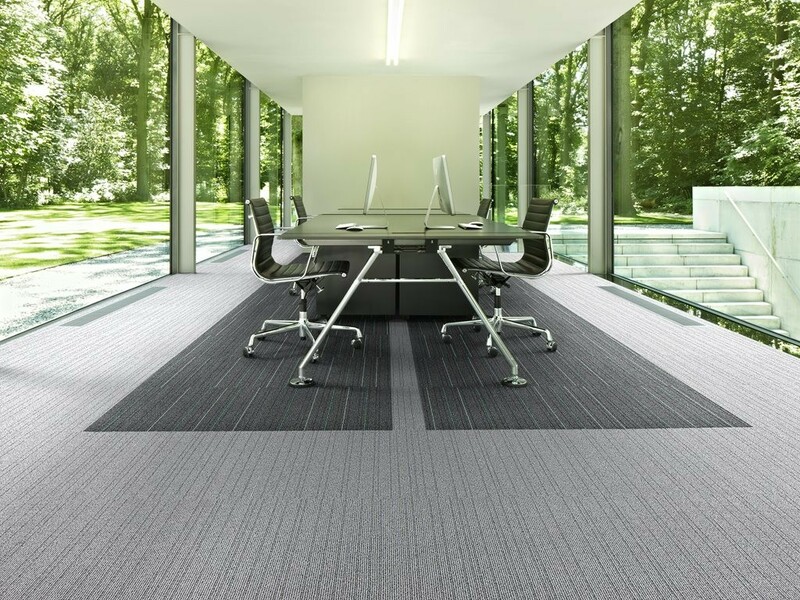 Take the DESSO AirMaster® carpet for instance, a C2C product that is eight times more effective at capturing and retaining fine dust in indoor air than smooth flooring solutions, and four times more effective than standard carpet solutions. The final point of Tarkett’s closed-loop circular design strategy is to treat waste as an additional value ­– one that is to be captured, recycled and reused. Through its ReStart® collection and recycling program, Tarkett collaborates with suppliers and customers to maximise the recycling of its flooring materials now and in the future. “By reconciling the People, Planet and Profit drivers, Tarkett is able to achieve profitable and sustained growth which is shared among employees, customers, business partners and shareholders,” the company concludes.